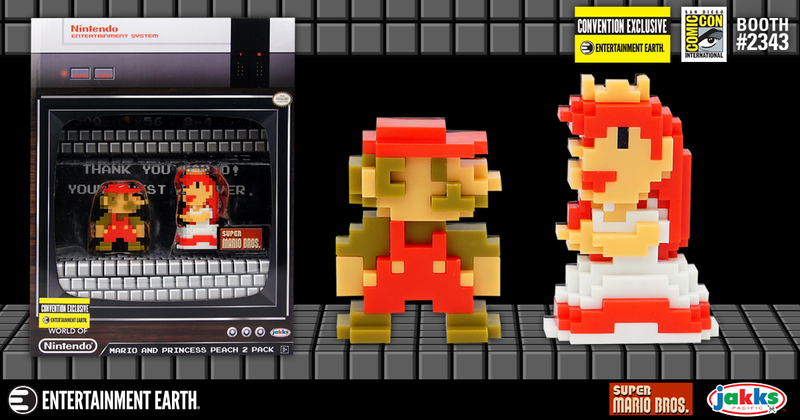 Exclusive Nintendo 8-Bit Mario and Peach Mini-Figure Set Intrigues San Diego Comic-Con! Remember the first time you sat in front of your parents’ TV and beat Bowser – only to find out that your princess was in another castle? Well, guess what? She’s here, and you can rescue her at San Diego Comic-Con! The Nintendo 8-Bit Mario and Princess Peach 2 1/2-Inch Mini-Figure Set – Entertainment Earth Exclusive is just the gift for the person in your life who loves retro video games – especially if that person is you! The Super Mario Bros. video game helped make Nintendo king of your living room in the 1980s and now those two iconic characters that have kept you company over the last 30 years, can be added to your collection in a new way. These 2 1/2-Inch tall mini-figures look just like pixels come to life! They bring all the unique aesthetics of Mario and Princess Peach as they originally appeared in Super Mario Bros. These figures come packaged in a unique retro-styled TV-shaped box with an NES on top! It’s just like that faux woodgrain tube monitor that populated your home for decades – it’s a piece of a 1980s living room, recreated as a collectible. What’s more, there are only 3,000 pieces made and they can be exclusively found at the Entertainment Earth booth at San Diego Comic-Con! Hurry down before they’re gone! Not attending San Diego Comic-Con 2017? * Pre-order the 8-bit Mario and Peach set at Entertainment Earth now! I love it, if for nothing else but the great packaging. Another one that brings back some good gaming memories... Looks good! Nice packaging. 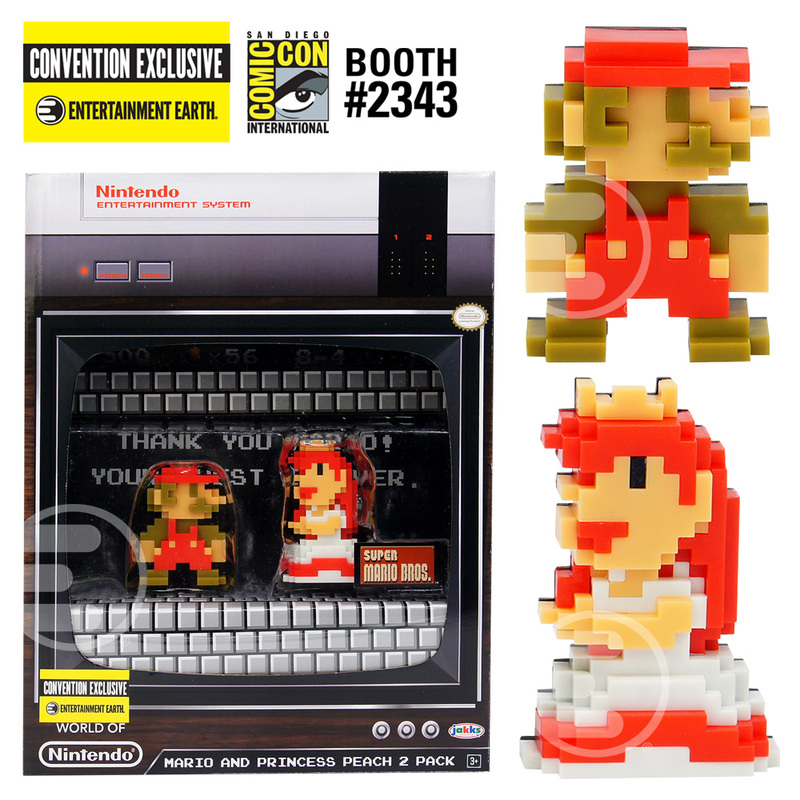 Full Thread: SDCC Reveal - 8-Bit Mario and Princess Peach!